Quies is a research project on silence. The first part consisted of a three day exploration of silence with musicians Brendan Dougherty, Guido Henneboehl, Simon Bauer, and Nils Ostendorf at Ausland in Berlin in November 2009. 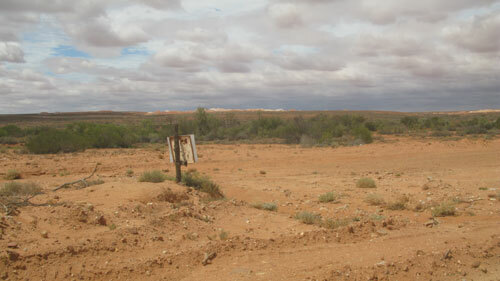 The second part is (now) happening at Critical Path in Sydney (in February 2010) and is focused on exploring silence through field recordings in Sydney and the desert in South Australia. The third part will take place during a residency at Theatre in Motion in Beijing later this year. This is a journal of the residency at Critical Path. The music player below contains a selection of field recordings. It is by no means intended as a finished work or album, but rather as an impression of the research. As these recordings are very quiet, good headphones and a quiet space are advised. The first track in the player is the presentation/performance given at the end of the residency. After that the tracks are ordered chronologically. Scroll down further or use the short cuts menu to read the journal notes. Good evening and welcome to this presentation. The project I've been working on and the research I've been doing here is part of a larger project called Quies. The latin root for quiet, silence, lull, it signifies for me a desire to work on just that: the quiet, silence, nothing. Now I don't see silence as the absence of sound, but as space. The space in which sound happens, the spaces between sounds. Any musician knows that by changing the space and time between notes, you change the melody. It's exactly that play between event and non-event, if you want, that makes a piece of music. The nothing or space or quiet is as integral and important and defining as the note or event. So when I first started thinking about this project, it was immediately clear to me that I wanted to focus on this nothing. I wanted to focus most of my initial attention on space and air. I wanted to research silence and nothing, the lack of. So far Quies consists of 3 chapters. All of them deal with the same concerns and desires but have a slightly different focus. What you've been listening to since you entered is part of the first chapter, and it's an exploration of sine waves and how they interact with the room and your ears. What I like about sine waves is their purity. They just are, one tone, plain, simple. And the way they bounce around the space and between your ears is, as far as i'm concerned, pure magic. I started working with sine waves because of a phenomenon called beat frequency, or the devil's frequency. It's an acoustic phenomenon, an interference between two sounds of slightly different frequencies. The difference is usually around 4hz, or in other words so low that it can't be heard. Let me explain this by explaining why it's called the devil's frequency. You've all heard gregorian chanting, I'm sure. Liturgal music, monophonic, and sung by monks since the middle ages. Now imagine that two monks are both singing the same note, let's say a La, or the middle A. When sung at perfect pitch it's a 440hz tone. Now imagine that one monk is singing at 438hz. It will sound like a perfect La as the difference is so small. Now also imagine that the monk standing next to this monk is singing his La at 442hz. Again, it will sound like a perfect La. The difference between the two of them, however, is 4hz and they will feel this difference as either euphoria or anxiety. As they were not supposed to feel that, it's sometimes called the devil's frequency. Now this piece consists of 4 different tones, each slightly different in frequency. If you would hear them separately they would sound like the monotone they are. Because they are played together in this space, they meet and intersect and bounce against each other and create the beat or pulse that you all hear. You can change this by simply moving around or even turning your head. On top of these I'm playing single notes and clusters of notes that also interfere with the sine waves, creating the pulse or beat you're hearing. In short, what you're hearing and experiencing is as much because of the space and your ears as because of the notes or tones. And it's this subjectivity that brings me to the next chapter and sound you're hearing. I gave myself the absurd task of looking for and recording silence. And I wanted to do it this as seriously, diligently and professionally as I would tackle any other subject or concept. So I applied for residencies: one here in Sydney at CP, the other at Theatre in Motion in Beijing. Both are big cities in enormous countries with deserts close by. Both are far away from Europe, literally and figuratively speaking. It felt important to be disconnected, to be a stranger, a foreigner. I felt like I had to throw myself into a space i did not know yet. I've been recording hours and hours and hours these last 4 weeks and it's way too soon to come to any conclusions or results, let alone first drafts of actual work. What you're hearing then, is a selection, a montage of those field recordings, and more specifically of the recordings from my field trip to the desert. Graham Greene writes in A Quiet American: "When you escape to a desert, the silence shouts in your ear." And that is exactly what happened. But before that: you'are listening to a montage of recordings done between Adelaide and Woomera, 500 km north. I stopped every hour or two and recorded wherever I found myself. As you can tell, traffic quickly became less dense before it disappeared altogether, culminating in near silence, around sunset between Roxby Downs and Woomera, after a day of driving. When I went to bed that night, I was convinced I was gonna find and experience silence. 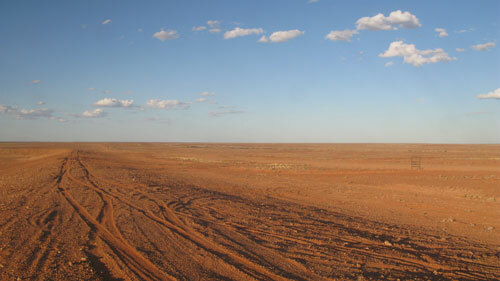 The next morning I went to Lake Hart, 40 km north of Woomera. 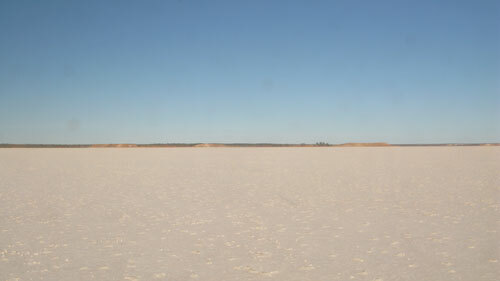 Lake Hart is one of the many salt lakes in the area. I arrived there by about 9, geared up and started walking. What you're hearing is only an excerpt, but I walked out onto the lake for about 20 minutes, stopping every 5 minutes or so to check for silence. The first time I stopped, I could still hear the odd car on the highway in the distance, the second time, it was dead quiet, except for the .... flies. Incessant, everywhere, all the time. Only the wind could chase them away and the further on the lake I walked the louder and stronger the wind became. But needless to say neither of the two are ideal when you're trying to record silence. I was extremely disappointed when i heard back these recordings that evening. I felt I had come close to silence and failed experiencing it because of flies and wind. And it only got worse the further north I went, as you can tell by this recording just outside of Coober Pedy, at the beginning of the unsealed road to Oodnadatta. This recording is from around sunset. If it weren't for the wind, it'd be dead silent here. As I went to bed that night, I felt defeated. I had driven close to a 1000 km and discovered the potential for silence. All I had to show for it though was lots of recordings of wind and flies. I woke up the next morning to this. This what you're hearing now. Yes, indeed. I woke up to silence. 6 meters below the earth in my underground room 5km outside of Coober Pedy, at 7.50 am, I woke up and experienced silence. And even though I was hoping for this, it still caught me by surprise. Silence is a very intense, even disturbing experience. No matter how hard I strained my ears, I could hear nothing. Absolutely nothing. It was truly mesmerizing. with no one else around, nothing else but yourself to look at or in this case listen to. I came close to this the third time I experienced silence, outside this time, on an unsealed road between Andamooka and Lake Torrens. Now then, I did announce this talk as being about failure, as being a documentation of failure. Where's the failure here, seeing that I found and experienced silence, even though I was convinced it did not exist. Well, it's quite simple really: it cannot be shared and it cannot be objectified. All it was was a very personal and highly subjective experience and since this is an artistic endeavor rather than a new age attempt at enlightenment, the end result is failure. The recordings are so quiet, so empty, so devoid of anything that all you hear are the microphones. And as these recordings are played back here in this space, all you hear is the traffic and birds outside, and the resident cicada in the roof. So failure. For now. And even then, I honestly do believe that failure is underrated, but that's a topic for another talk, because we've come to the third and final chapter of Quies for tonight. This chapter is about confronting music with field recordings, more specifically, a recording at the cemetery in Chillagoe, a small almost ghost town in tropical Queensland. All you hear in the recording is wind, obviously, the odd bird and two cars. Apart from that, it's virtually quiet. Last November I set up in Ausland in Berlin and invited 4 musicians to come and record with me. The idea was to play them this field recording of quiet and to ask them to enter into a dialogue with this nothingness. They were asked to listen really carefully and play as sparsely and precisely as possible. They were not allowed to play unless they knew what they were gonna play. Their instruments were miked very closely and gained in really high so that the smallest sound became audible. It created an acoustic space they occupied with their instrument. None of the 4 musicians ever played together in these sessions. All they heard was the field recording I gave them and what they responded with. As they all played along to the same 24 minute recording, I lined up all the music afterwards, thereby creating a virtual and yet very real score of music. What attracted me in this approach is the absolute lack of authorship. No single person is the composer of this piece, nor is it a collaborative group effort as in improv music, as none of the musicians ever played together. And my role finally is closer to that of an editor or auditor than to that of author. So what you're hearing is an excerpt from that piece. You will hear Nils Ostendorf on trumpet. Nils is one of the composers of the music for Hamlet, the theater piece that was programmed at the last Sydney festival. You will hear Brendan Dougherty on drums. Brendan has worked extensively as composer and sound designer with Jeremy Wade. On double bass you will hear Simon Bauer and the fourth and last musician is Guido Henneboehl. I want to work on silence. And absence. And nothing. The lack of. Just space. And air. That moment when the last note has rung, the last line has been delivered, the last movement has been executed. Just before the audience breaks out in applause or boos. That moment of anticipation. Of holding your breath. Your senses, exalted and wired. All ears. That moment. Exactly that moment. What do we hear when there's nothing to listen to? What do we listen to when there's nothing to hear? I do know that silence does not exist. Or that, if it does, it cannot be recorded. Or that, if it could be, it cannot be played back, or heard or re-experienced in the same way. Even deaf, you never hear nothing. There is always something. I don’t see silence as the lack of sound. The absence of. But as the space between sounds. The space in between sound. The breath between notes. The movement between strings. The distance between keys. And the time it takes, quite simply, to get from one to the next. Nevertheless I want to go look for silence. To record it. And fail. And try again. And fail again. And try better. And fail better. The intensity of failure. The intention. Of failure. And what it will make me find instead. I want to explore big cities. Vast urban landscapes. Go look for silence. Even when I know that I won't find it. I will still go look for it. Quixotically. On a quest for quiet. I want to create audio postcards of streets, buildings, areas, neighborhoods. With a focus on silence. That moment where sound stops. Comes to a halt. An audio snapshot. The way a photographer frames and freezes and creates a still. An audio still. There will be a piece. Eventually. What it will be exactly, I can only guess now. A score, or composition. A CD or DVD. Something with the attention and concentration of a performance and the passage of time of an installation. Something in between. Like the space between sound. The residency at Critical Path doesn't start for another week, but I thought it'd be good to try out a few ideas. So I walked down to Beare Park in Elizabeth Bay, thinking it'd be quiet and peaceful, but 10pm turned out to be a bit early still. The water sounded lovely though, and a young - homeless? - kid was talking on the phone, leaving me with interesting bits of conversation. The cicadas were out in full force. I crouched down as close as possible to the grass to capture what sounds like noise and static. Fascinating. Was going to walk to Rushcutter's Bay Park but chickened out when I saw two beefy men come up the stairs. Remembered it might be cruising grounds there at night so went towards Kings Cross instead. It was loud, as usual. Should have stuck around to listen & record the busker a bit longer. Ran into tipsy friends at some point but thought it'd be better to edit that conversation out. Continued along Macleay Street towards Potts Point, the noise gradually ebbing away. Ended in the passageway between two buildings off of Macleay Street that leads to the stairs to Billyard Avenue. It was beautifully quiet. 20'45" - 23'55": passageway off of Maclaey St.
Where can you find silence in a big city? In churches? Parks? Museums? Bookshops? Obvious places, really, but how quiet are they? First recording is inside St Andrew's on George Street. A lot of urban noise disappears the moment you enter but it's hardly a silent place. Quiet? Yes, reasonably so. But still, it's never just empty. There's always "something" happening. Kinokuniya Bookshop next. My gut feeling told me to walk towards the Science and Philosophy section. Interestingly enough it did turn out to be the most quiet place in the entire shop. Apart from the service entrance that beeps every so often. And the awful background music which becomes louder and louder as you walk towards the Alternative Therapy section. But I edited that out because by then the shop could hardly be called quiet, let alone silent. Went up to St Mary's Cathedral next and spent quite some time there, waiting for silence, or at least some peace and quiet. But alas. Should try other hours of the day. Or the weekend when there's less traffic. There's an installation by Japanese artist Tatzu Nishi outside the Art Gallery of New South Wales. It feels very quiet inside and on days when there's less traffic & people, it might actually sound like silence. Finally a recording inside Christ Church St Laurence on George Street. I'd never been inside an Anglican Church and was surprised by how serene and quiet it was. Rather than tourists shuffling around, people were actually praying. Other noticable differences were the homeless people sleeping on pews & the CCTV cameras. God is not just watching, he's recording. It's so quiet here at Critical Path. Beautifully quiet. I tried to record my studio right away, but failed because of the almost constant traffic. Microphones don't filter as diligently as ears. Will try again. Went for a walk instead to explore the area and make a few postcard recordings. Yarranabbe Park runs along the water here. With great views of the Harbour Bridge, it's as quiet as parks in a big city get. Never realized there was that much air traffic though. Nor did I ever really notice that constant low drone. Walked up the hill towards Darling Point and sat down to record at Darling Point Road Reserve. No real quiet here either, what with the water splashing against the rocks and the almost constant air traffic. Spent the rest of the day setting up my studio and settling in. Spent most of the day doing research for my field trip next week. I will fly to Adelaide, rent a car and drive 1000km North towards the Red Centre of Australia. I will not go all the way to Alice Springs and Uluru, but rather spent time on the road, recording as much as possible. I have to research more but for now I'm thinking of driving till the border of SA & NT. The most important thing to decide is where to spend the night, as it will determine evening and night time recordings. More details later. Worked the whole day on Chillagoe, Ausland, one of the recordings from Ausland, Berlin last November. More info about that when it's finished. Went out to Olympic Park today. What an eerie place. So big and empty now that it's not used for what it was designed for. Unfortunately it was impossible to find any quiet, let alone silence. The highway that runs around the Park is simply too loud, as is obvious from the recordings. The first one features a very squeaky bike. The second one was recorded on the Brickpit Ring Walk, an elevated circular walkway 18,5 metres above a brickpit. Beautiful wind sounds in this one. The last one is a very detailed and close recording of a flagpole in the wind. The clapping in the background is a group of people exercising with a personal trainer. Worked the whole day on Chillagoe, Ausland, one of the new recordings from last year in Berlin. Finished a first version. Feels good. Woke up at 4 to catch a 6:35 flight to Adelaide (pop. 1,289,865). If not for the drizzle, it would have been a perfectly quiet morning. Arrived at 8:35 local time and was on the road by 9. It took less than 100 km to arrive in flat, arid, outback country. For a while it felt like driving through certain parts of Spain or Portugal, but after less than 3 hours, it was pretty clear that this is not Europe. I'm rather confident I'm gonna find silence on this trip. The places I've recorded so far are very quiet. Obviously there's traffic but that will thin out. What's exciting is the lack of urban and other typically human sounds. There are no cities here, hardly any towns and absolutely no air traffic. And with some luck there won't be any birds either. What could mess up my quest for silence though are the flies. There's no escaping them. And because I decided to mostly use binaural microphones mounted in my ears rather than a shotgun microphone on a boom pole, this might make recording silence hard. The first recording here is Elizabeth Bay (pop. 4,948) at 5 am. It makes me think I should record more this early in the morning. The second recording is just outside Port Pirie (pop. 13.206), 3 hours north of Adelaide. There's still a lot of traffic in this one and not much quiet. 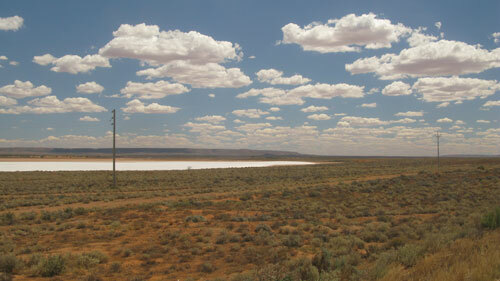 The third recording is outside Port Augusta (pop. 13,257), 4 hours north of Adelaide, and the beginning of the Stuart Hwy. Traffic is thinning out, and even though the wind is quite strong in this one, there are beautiful moments of quiet here. The fourth recording is at Ranges View Rest Area, another hour further north. Even less traffic. I didn't edit out the sound of my footsteps to frame the quiet that follows. Strong but beautiful winds here as well. And flies, slowly but surely. The sixth recording is inside Spud's Roadhouse in Pimba. Loud A/C! 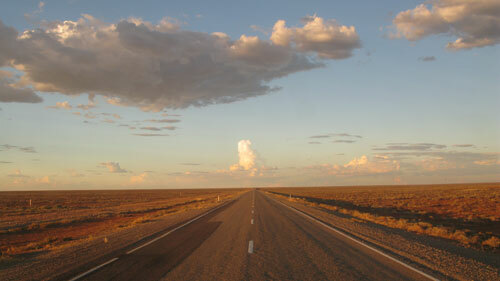 The seventh and final recording was done around sunset on the road between Roxby Downs (pop. 4055) and Woomera (pop. 450), 500 km north of Adelaide. No traffic whatsoever, just sudden gusts of wind and the odd fly or two spoiling the very beautiful quiet on this road. Woke up at 6:30 to a beautiful sunrise, had breakfast at Spud's Roadhouse and was at Lake Hart, 40 km north of Pimba, by 8:40. No words can describe Lake Hart. It is... amazing, spectacular, overwhelmingly breath-taking. All there is, as far as you can see, is salt. In the middle of red desert. I walked out onto the lake for about 15 to 20 minutes in a straight line, and still wasn't halfway. Lake Hart is part of the Lake Eyre Basin and to give some sense of scale, the Lake Eyre Basin covers an area roughly the size of France, Germany and Italy combined. After that I drove straight to Glendambo, and despite a population of 30, I had the choice of 3 "restaurants" for lunch. Roadhouse food. After lunch and a few recordings, I was back on the road for the longest stretch without any town, roadhouse or service station: 255 km to Coober Pedy (pop. 1,916), where I arrived by 18:00. Adelaide is now 840 km south and long forgotten. I'm not sure what to make of Coober Pedy. It's rough, unpleasant, ugly, hot, so hot most people live underground. I've heard it describe as "a human aberration", "cowboy land", "the end of the world", etc. It's a very inhospitable place, with an eerie vibe, and negative energy. Seeing only drunk, high or otherwise wasted aboriginals, was very confronting. I checked into an underground room 5 km away from Coober Pedy, partly because I was thinking it might be more quiet, but also because I didn't want to spend the night in town. The first recording is not about silence but distance and time. It's me walking out onto Lake Hart and stopping every 5 minutes or so to listen for silence. The highway can still be heard in the background, but there's two bigger problems than traffic: wind and flies. The latter are constantly buzzing around my head. They only disappear when the wind picks up, and the further away from the lakeside I get, the stronger the wind starts blowing into the microphones. My idea was to walk out onto the lake and then record with the shotgun microphone. The wind was so strong however that the recording is unusable. Extremely disappointing. The second recording is back at the Rest Area at Lake Hart. There's the odd truck or car on the highway in the distance, a rare fly or two, but mostly very beautiful quiet. Make sure you're in a quiet place when you listen to this one, or you might not hear anything at all. The third recording is a short postcard impression of Glendambo. 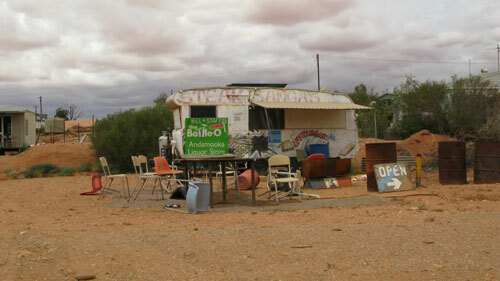 The fourth and fifth track were recorded at rest areas between Glendambo and Coober Pedy. There's no traffic whatsoever, just a few gusts of wind, flies, and even some cicadas. Despite that, these are rather quiet recordings. 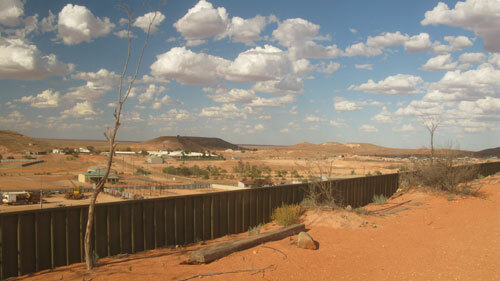 Number six was recorded at The Big Winch in Coober Pedy. Perched on top of a hill it offers great views of the town and its surroundings. The wind is quite strong in this one but that felt right somehow, given the location and circumstances. The seventh track was recorded at the old cemetery where quite a few of the graves are of one year olds. The screaming and shouting in the background attests to what I mentioned above about the local aboriginal community. Rough. 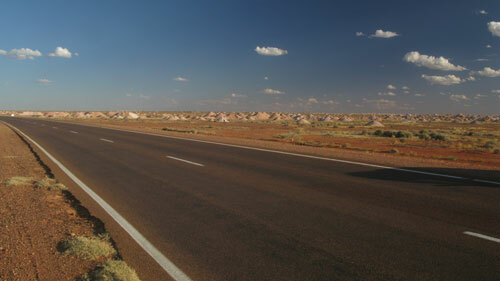 The last track is recorded where the road to Oodnadatta becomes a dirt road, just outside of Coober Pedy. It was incredibly windy, but that was, again, in rather perfect sync with the view: abolute flat nothingness coupled with brutally loud and extremely physical wind. Pure magic. Woke up at 7:50 to complete and utter silence. It was impressive and even though I was hoping for this when I decided to spend the night in a room 6 meters underground, it still caught me by surprise. Silence is a very intense and almost disturbing experience. No matter how hard I strained my ears, I could hear nothing. Absolutely nothing. It was truly mesmerizing. 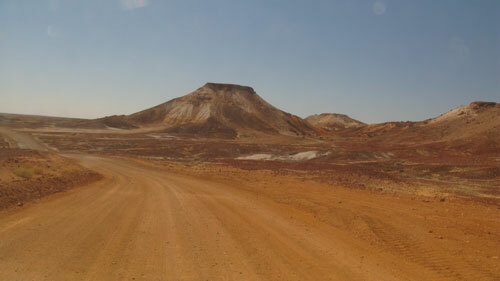 Next I drove to the Breakaways, 35 km north of Coober Pedy, over mostly unsealed road. It was very much worth it. Desolate, quiet, empty, arid, and no one else but me. After that it was noon and I couldn't decide whether to keep driving north or stay in Coober Pedy. I felt like sticking to my original plan of driving to the border with the Northern Territory, but I was told the landscape doesn't change at all. Against that sound advice, I did drive another 400 km and what a waste of time it was. The landscape did change a little bit, but the aural landscape stayed exactly the same: desolate spaces, wind, and flies. 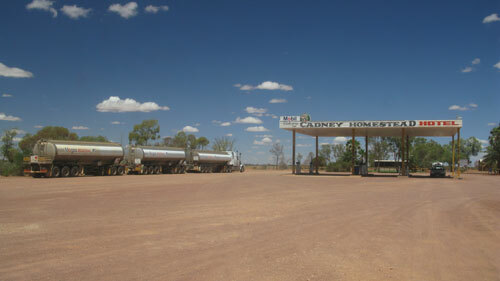 At the border, I turned around, drove back and spent the night in Cadney Homestead, 152 km north of Coober Pedy. The second recording is at the Breakaways. It was extremely quiet there, apart from the wind & the flies. The third recording is a postcard impression from Cadney Homestead. The fourth recording is while driving in the car and arriving in Marla, 1082 km north of Adelaide. Spent most of the day driving back south and trying to record music for another project. I did spent a couple more hours in Coober Pedy again, recording 3 underground churches. Absolute silence in at least one of them. That's two experiences of silence during this field trip. Spent most of the late afternoon and early evening driving back to Woomera. The first recording was made at a rest area between Cadney and Marla. Zero traffic, almost absolute quiet, if it weren't for the wind and flies. The second recording is inside the Serbian Orthodox Church in Coober Pedy. It was so quiet in there that I could hear my own blood pumping like a constant low frequency drone between my ears. Extremely intense and almost nauseating. Obviously the microphones mostly recorded themselves, so that instead of the low hum I heard, all you hear in the recording is sizzling. I deliberately left in footsteps and other sounds in order to frame the absolute silence. The third recording is inside St Peter & Paul's Catholic Church and even though it's also underground, it's less quiet, what with the outside world sneaking in very faintly. The fourth recording is inside the Cathacomb Church. The least quiet of the three because of the clock ticking away the time. Drove to Andamooka (pop. 528) today. It's the end of the sealed road off the Stuart highway, 107 km east from Woomera, and civilization as far as I could tell. I drove about half an hour further on unsealed road towards Lake Torrens. It was so devastatingly quiet there. There was hardly any wind, but, once again, the flies were everywhere. Because of the lack of wind, I broke my "rule" of not removing myself from the recording, just because I was curious to hear a recording of this particular kind of silence. Well, here it is, i don't think it gets any more quiet than this. Spent the day in Adelaide hoping to be able to record inside a lot of churches, but for some bizarre reason none were open. Ended this field trip with a recording of the prayer room at Adelaide airport. Spent the last four days listening back and processing the field trip recordings. Also finished a first quadrophonic version of Chillagoe, Ausland. Spent the last three days preparing my presentation. * Discussion events and opportunities for artists to share practice and ideas.